After massive participation in the #NotInMyName campaign initiated by filmmaker Saba Dewan – a peaceful protest against rising communal hatred in the country, another campaign along similar lines is being launched by social activist Shabnam Hashmi. 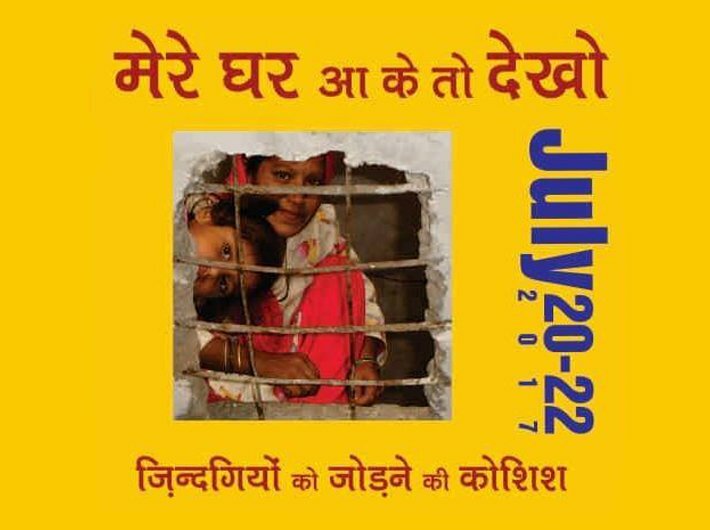 The campaign ‘Mere ghar aa ke to dekho’ (‘Come visit my home, be my guest’) is directed to change the preconceived notions and opinions that we hold about people belonging to another community, class, caste, religion, sexual orientation, language, region etc. Hashmi has appealed to the people to meet at least one family from a different community in order to understand their life and culture. The objective is simple and direct, people must go to each other's house eat and drink tea, or even just water, and break the socially constructed barriers. The three-day-campaign will officially begin on July 20 and participants will be asked to upload selfies clicked with the family they’ve visited on a Facebook page, with the hashtag #SelfieWithGuest. People's organisations, activists, schools and colleges from different cities and towns have been called upon to coordinate, participate and encourage people to be a part of the campaign. Hashmi says that the idea came to her mind as she herself has been perturbed by the kind of hatred and violence being propagated across the country. “One of the reasons why this happens is segregation. I have extensively worked in Gujarat, and there, there are areas and there are borders. On one side there are Hindus, and on the other side, there are Muslims. This ghettoisation of both the communities is happening everywhere,” she says. Hashmi thinks that people have strong prejudices against the queer community, the Muslims, the Christians and Hindus – upper caste and lower caste. “So, we thought that we’ll try this. This is a very small experiment; not that it is going to change much, but we’ve given this call. After meeting these families, if there is even a small difference in their thinking, we have asked them to make a video in which they can talk about their experience, and send it to us,” she adds.